Max Brooks lives in New York City but is ready to move to a more defensible location at a moment’s notice. His Zombie Survival Guide was adopted by all of the world’s basic military training programmes during the recent global conflict. This book is written as a collection of accounts from various people during World War Z. It gives a shocking and vivid account of the human experience during this apocalyptic nightmare of a scenario. I thought it was well written but got a little repetitive towards the end. I loved how the book gave a view from from different pairs of eyes and addressed the problems faced by mankind dealing with this affliction. If you’ve seen the film and are expecting a hero centric story you will be disappointed this book isn’t written that way, unless you concede we’re all heroes when the chips are down. The book doesn’t contain the solution in the film and there is no account of reaching WHO headquarters in Wales. I enjoyed the film but it mines the book for details rather than follows any script based on plot. Both the film and book are enjoyable but they do not really tie in as such. 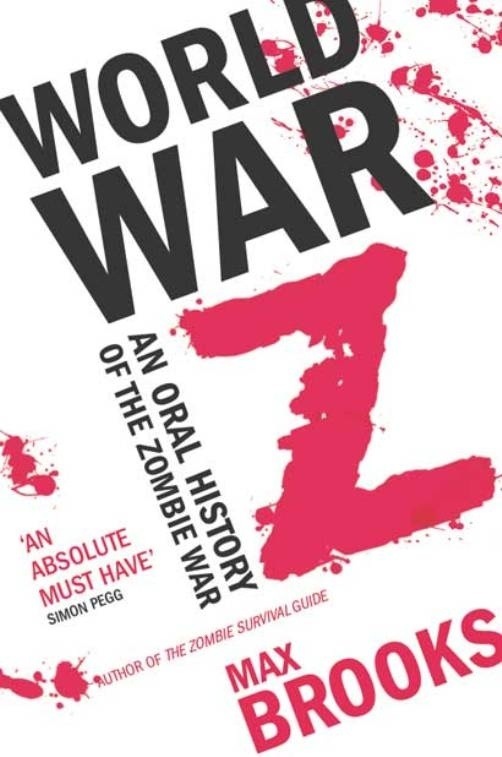 The clue is in the title, the book is an oral history of World War Z. The book celebrates the human spirit in times of adversity, it doesn’t veil the darker parts of our psyche but is extremely thought provoking. You cannot read this without thinking what would I do? I’m not a huge fan of zombie films or books but this one caught my imagination and although not as enjoyable to read as The Passage by Justin Cronin I think there’s definitely material here for a sequel of the film.